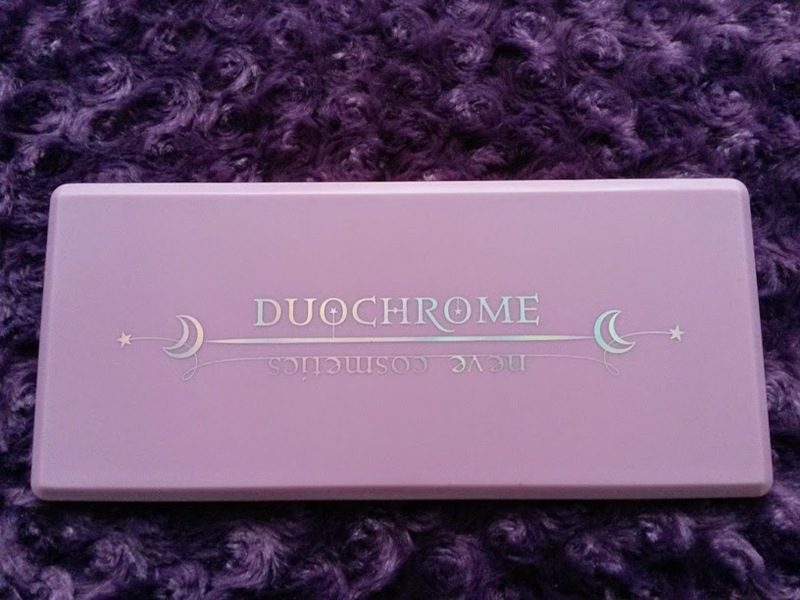 The packaging is beautiful, it's a bit more pinky purple in real life. Acid Rain cold green with reflections gold. Utopia - dark cobalt blue with pink highlights. Phoenix -intense heat from the copper-colored glows pink. 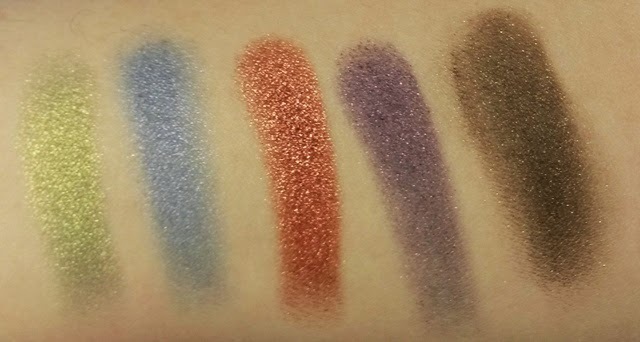 Chimera -dark purple with pink highlights and copper crystals. Twilight - intense gray satin bronze. Abracadabra - cerulean blue with shades of light green. Pollen - deep yellow with greenish lime green. Poison - tobacco dark brown with green highlights. Midsummer - ocher yellow with pink highlights. Ugh, beautiful. Check out Phoenix, that amazing copper! It's soooo gorgeous. 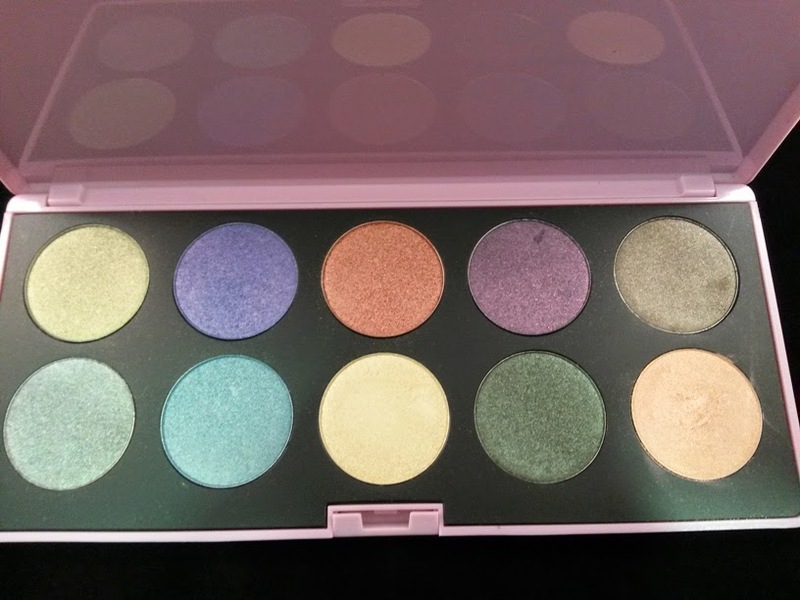 I got this palette from Cocktail Cosmetics, but it seems to be out of stock right now (I think it's limited edition) but a quick google shows it for sale HERE for £24.95. 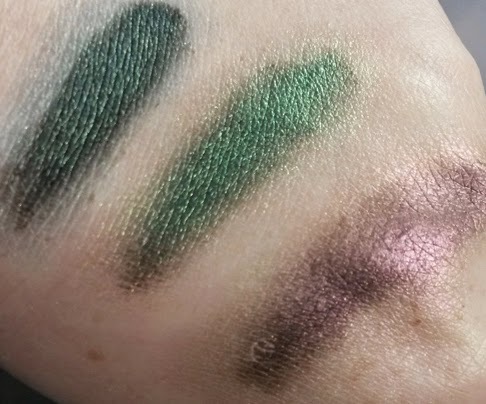 Oooh Abracadabra & Poisin Apple are gorgeous!